Love Yourself First! Friday (LYFF) is part of our Shed Light series collection. We invite women to tell their LYFF stories to inspire and empower others to also fiercely demonstrate self-love in action. 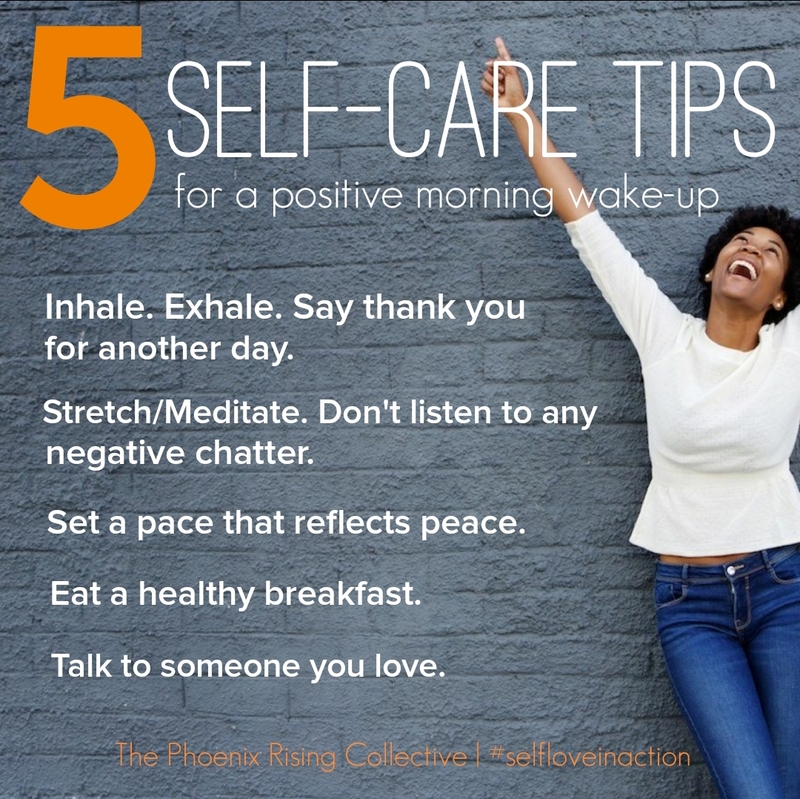 The questions are meant to “shed light” on various ways our featured Phoenixes are making self-care and intentional living a priority. How do you love yourself first? What does that mean to you? Loving myself first has been a work in progress because my kids are still very young and it seems natural for mothers to put their family’s needs before themselves. However, as I grow older, I have realized that it’s important to reserve some daily down-time for me. I make time to practice yoga often and try to incorporate meditation. I am a highly goal-oriented person who loves to live at a fast past; therefore, my yoga practice helps me to focus and quiet my soul. I have discovered that when I begin my day with yoga and meditation, my day seems so much calmer, and it feels like I have been kind to my spirit, so the act of loving myself first is quieting my spirit and taking time to just listen to what God wants me to hear for the day. I also like to reward myself with “spa days.” I enjoy just getting away for the day to be pampered – leaving all the kid-chauffeuring to my husband. I truly believe in the connection of mind, body, and spirit. Before kids, I used to run daily, and I went to the gym twice a day (in the morning before work and back again after work) in order to make it back home just in time to have dinner with my husband. Yes, exercise and good health were my life before kids. After all, I lived on the East coast and that was the thing to do. Just last year, I decided to rekindle my old hobby of running and completed my first Half Marathon in Columbus, Ohio. This was probably one of my most exciting days that gave me such a sense of accomplishment (as seen on my photo wearing my medal). Running is spiritual for me and that is why I don’t even listen to any music while I run. It’s a Zen moment where I just want to feel the wind and hear all the natural sounds. I love to set goals, and my quest to achieve them fuels me, and I feel good about myself. I also love to travel and see the world. My most sacred place is anywhere near the ocean. The ocean’s power and serenity reminds of the glory of God. My most memorable vacations are in locations where I can hear the relaxing sound of the ocean. I cannot think of anything more calming. Is there an obstacle or challenge that you’ve overcome that led you to a deeper love for who you are? Three years ago, I had to make an emergency trip to South Africa because my mother had encountered a serious cardiac illness. After returning from that visit in January, I was so thankful that God had graciously spared her life and wanted to focus more on gratitude. I then made a conscious effort to give up meat during the month of January. I chose January because I do not believe in setting resolutions; instead, I set goals. Consequently, January has become my month of thanksgiving, fasting, and focusing more on what goes into my body. I use this time to slow down and focus more on loving my body and appreciating my life. What have you learned from self-love? We asked Lizzie to also submit photos demonstrating self-love in action or even photos that radiate the feeling of loving who she is. We created a collage (shown above) of the awesome images she wanted to share. 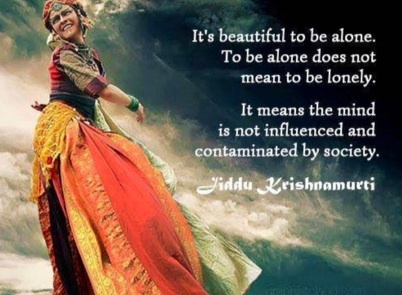 Below is also a quote that she loves and shared with us; it describes her love and comfortability with being alone. 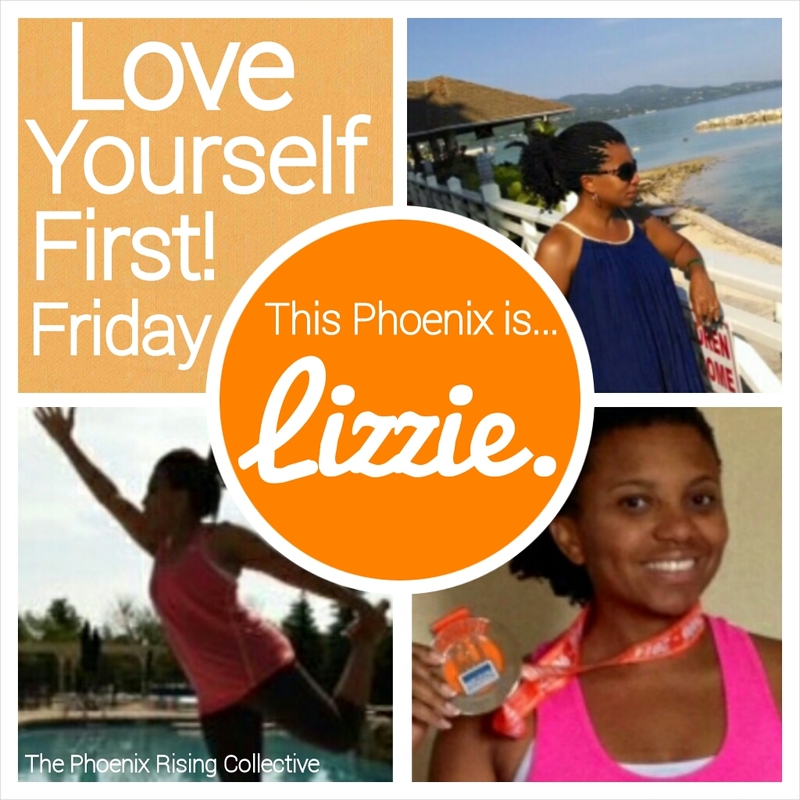 Thank you for sharing your self-love story, Lizzie! You are definitely a Phoenix Rising. If you’d like to share your self-love story with The Collective contact us here. Love Yourself First! 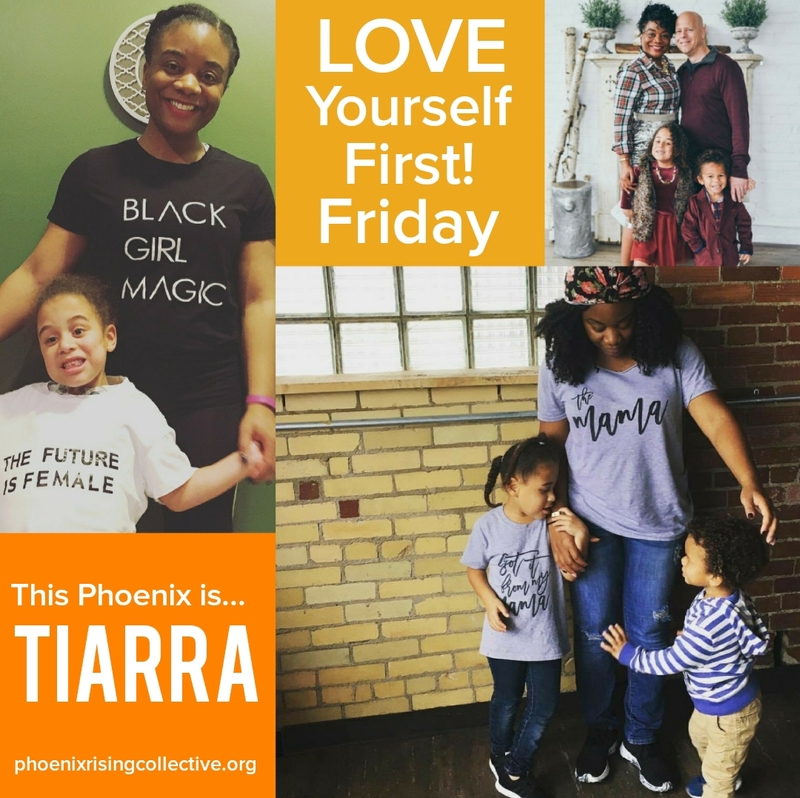 Friday is a bi-weekly self-love series created by The Phoenix Rising Collective. Beautiful, diverse women tell stories of triumph, share personal affirmations, and declare love for their lives! The series is meant to inspire and empower women to fiercely demonstrate self-love in action in order to build and sustain healthy, positive self-esteem. Be sure to read some of our other inspiring stories. Categories: Love Yourself First! Friday | Tags: health and wellness, inspiration, intentional living, intentional living practice, Love Yourself First, self-care, self-esteem, self-love, women and wellness, women's empowerment | Permalink. 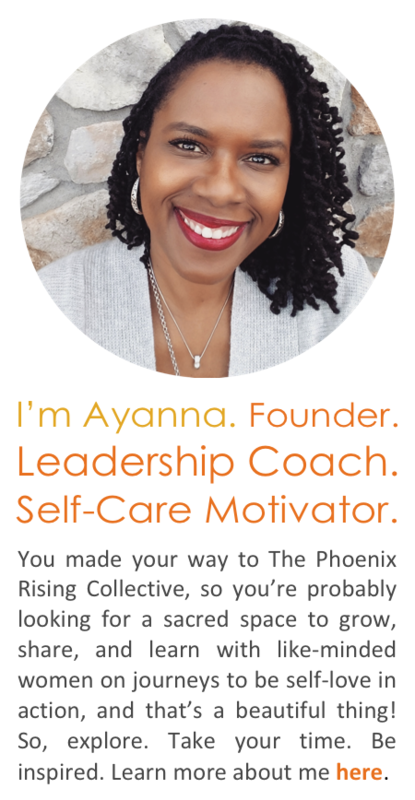 The Phoenix Rising Collective provides self-care workshops, heart-centered professional development and authentic leadership training that inspires women to be self-love in action. It is a positive, women-centered, spirit-affirming community where you can grow, share, and learn with others who have the same commitment. Enter your email address and receive inspiration, self-love stories, and new posts from the Collective.